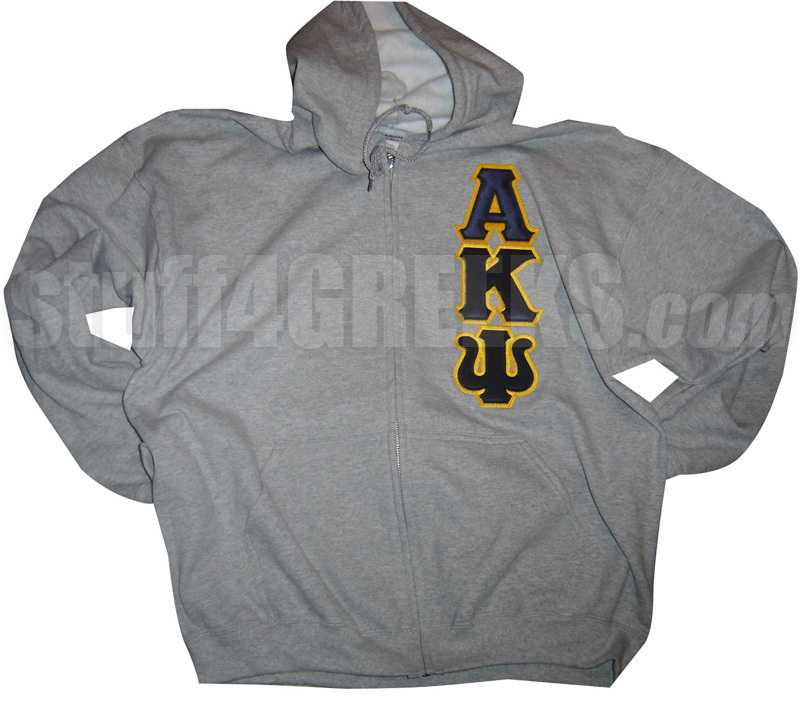 Gray Alpha Kappa Psi full-zip hoodie sweatshirt with the Greek letters down the left. Don't like this hoodie? Looking for something different? 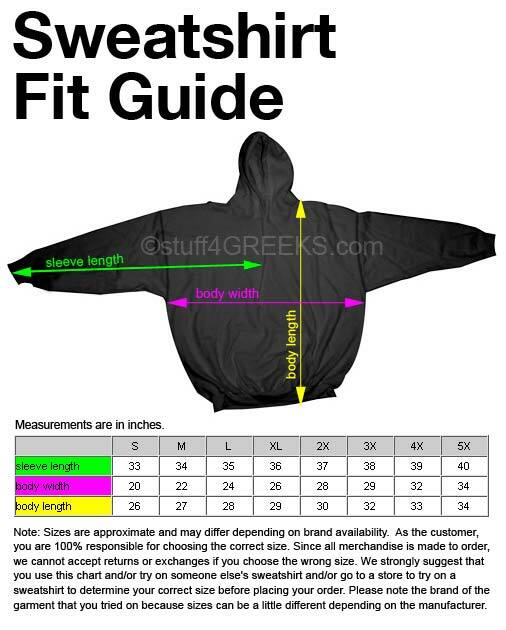 Click here to make your own custom Greek hoodie.